Britain's former secretary of state for Exiting the European Union Dominic Raab. (Matt Dunham, AP). 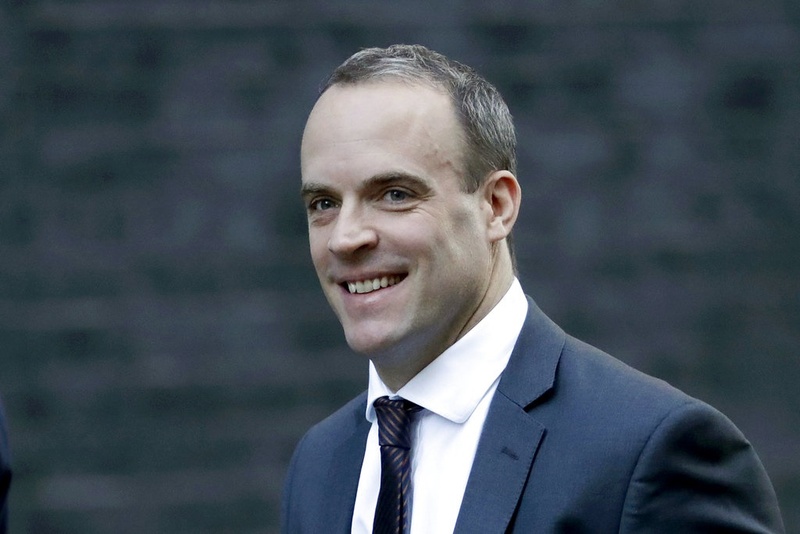 "I regret to say that, following the Cabinet meeting yesterday on the Brexit deal, I must resign,"
Britain's Brexit Minister Dominic Raab has quit his position over Prime Minister Theresa May's deal for leaving the European Union, with several of his colleagues following suit. "I regret to say that, following the Cabinet meeting yesterday on the Brexit deal, I must resign," Mr Raab said in a statement on Twitter. Works and Pensions Minister Esther McVey, Brexit under-secretary Suella Braverman, junior Northern Ireland Minister Shailesh Vara and junior Education Minister Anne-Marie Trevelyan have also resigned. Raab said Ms May's plan threatened the integrity of the United Kingdom. The resignations are a big blow to the UK leader, who is already facing an uphill struggle to convince enough MPs to accept the agreement. Raab became the second UK Brexit minister to resign in six months, with his predecessor David Davis having quit in July in protest against Ms May's Brexit strategy.